If used sensibly, a credit card can be a good way for students to manage their budgets. Currently Halifax, Lloyds TSB, Natwest and Royal Bank of Scotland offer student credit cards. Other providers have credit cards for people with a low income or no credit history that may also be available to students. Student credit cards have higher interest rates so borrowing on a student credit card is ill advised. A student loan and student bank account are the best options to fund students through university. Student credit card providers offer up to £500 credit which will not have interest applied if the balance is paid in full each month. Once in debt, a monthly minimum payment is still required and an unpaid balance will accrue interest and late payment charges. Further charges apply for exceeding the credit limit. Credit ratings tell lenders how financially attractive you are and whether you are a responsible borrower. Building a good credit rating through a credit card or mobile phone contract can improve your chances of obtaining future credit, perhaps for a car or mortgage after university. However, becoming in debt through a student credit card will have a negative impact on your credit rating and will affect future applications for credit. Keeping track of your spending so as not to exceed your budget and paying the balance off in full each month are the best ways to avoid debt. Furthermore, withdrawing cash using a credit card will incur a withdrawal fee so stick to your student bank account for this purpose. By checking your credit card statement each month you will be able to spot any unexpected purchases early. These may indicate fraud and you should make your credit card provider aware as soon as possible. Mature students or those with an additional income might be eligible for a regular credit card with better interest rates or additional benefits. 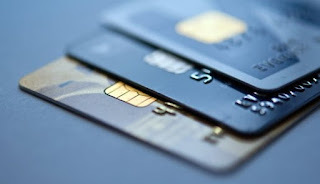 A pre-paid card, to which money can be transferred before using the card for spending in shops and online, is a good alternative to a student credit card. Since pre-paid cards work in a similar manner to mobile phone top up cards, getting into debt is unlikely with this option.